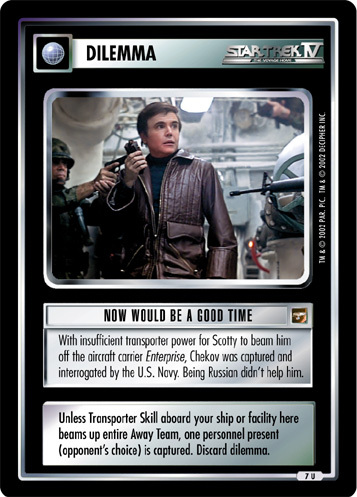 With insufficient transporter power for Scotty to beam him off the aircraft carrier Enterprise, Chekov was captured and interrogated by the U.S. Navy. Being Russian didn't help him. 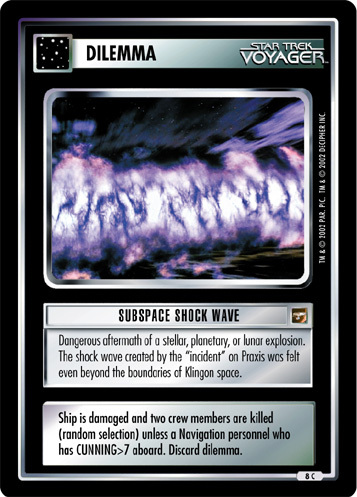 Unless Transporter Skill aboard your ship or facility here beams up entire Away Team, one personnel present (opponent's choice) is captured. 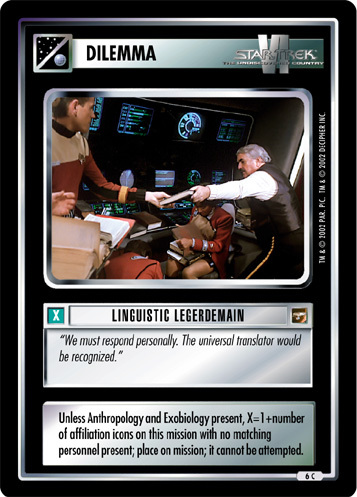 Discard dilemma.